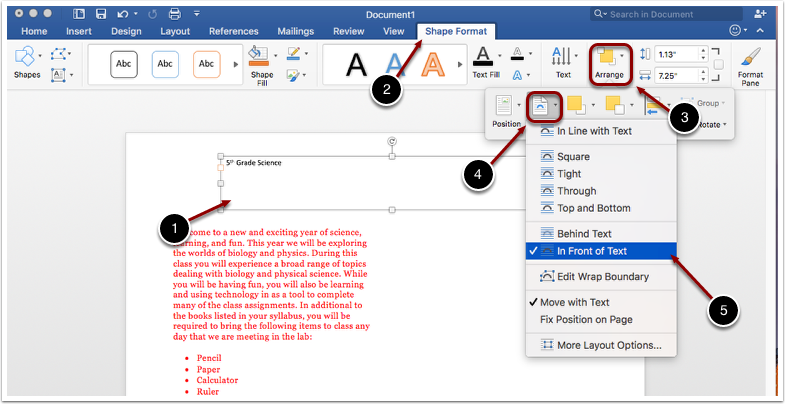 EdTech Help GuidesED206 Word TCAHow Do I Insert And Edit A Textbox? 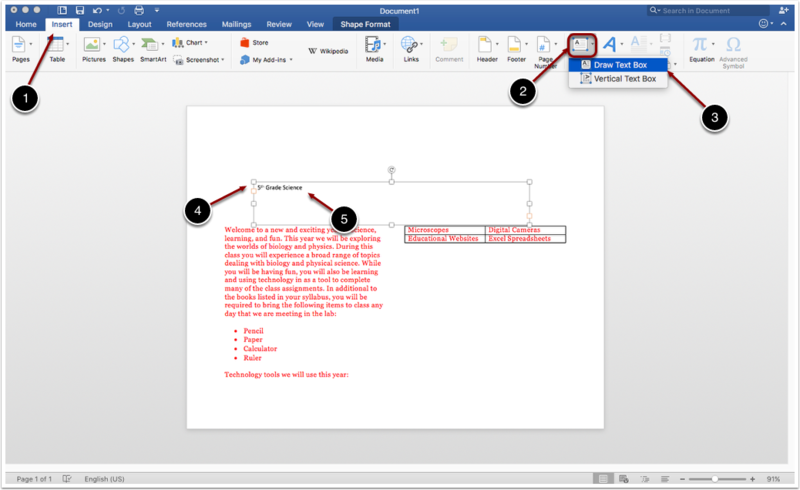 Below are instructions on how to insert and edit a textbox in a Word Document. 2. Select the text box tab. 3. Select the draw text box tab. 4. Click and drag mouse to create a text box the same size as shown in the example. 5. 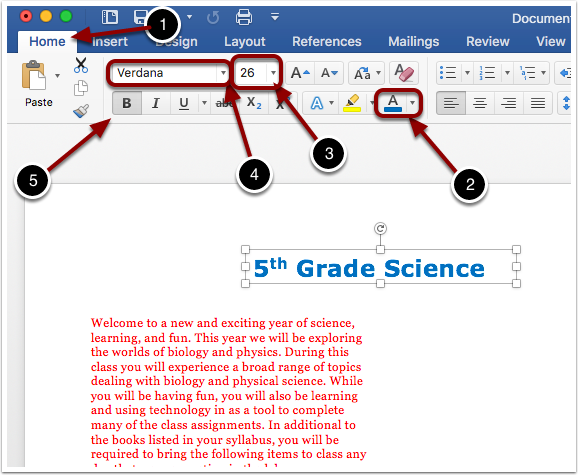 In the text box, type "5th Grade Science". 1. Select the title text box. 2. Click on the shape format tab. 3. Select the arrange tab. 4. Select the wrap text tab. 5. Select the in front of text option. 3. Select the size tab and select which font size to use. 4. Select the font tab and choose which font to use. 5. Select the bold button. Prev: How Do I Insert A Bulleted List And A Table? Next: How Do I Insert An Image Into Word?